Network time servers are responsible for providing a network’s time. Of course, all computers have their own onboard clocks built into the motherboards, but these devices are only cheap oscillators and are prone to drift. When you have a network of hundreds or even thousands of PCs and devices, if there was no synchronisation to a single network time source, all the machines could be relaying completely different times, often several minutes apart. When it comes to network time synchronisation, Network Time Protocol (NTP) is by far the most widely used software protocol. Whether it’s for keeping a network of hundreds or thousands of machines synchronised, or keeping a single machine running true, NTP offers the solution. Without NTP, and the NTP server, many of the tasks we perform on the internet, from shopping to online banking, simply wouldn’t be possible. Perhaps the safest and most accurate means of obtaining a time source is by utilising the time codes transmitted by the GPS (Global Positioning System). All that is required for picking up these GPS signals is a GPS NTP server, which will not only receive the time code, but also distribute it around the network, check for drift and maintain stable and precise time on all machines. To synchronise a computer network or other technology systems to GPS time, all that is required is a GPS network time server. 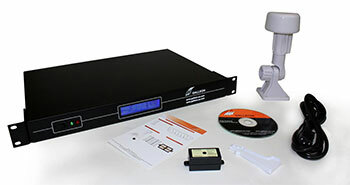 GPS network time servers are simple to install, simple to use and can maintain accuracy for all sorts of technologies. Used by organisations as diverse as stock exchanges, air traffic control and banking systems, GPS time servers provide an efficient and cost effective solution to maintain network synchronicity. When a network loses time, you are at risk of losing far more than just what time of day it is. Time is an essential aspect of network security and any errors in a network time server can lead to catastrophic result. However, the solution for ensuring network security is fairly simple and relatively inexpensive – the NTP time server. GPS time servers are a highly accurate and secure method of synchronising a computer network to UTC (Coordinated Universal Time). GPS time servers are simple to use and ensure a network is synchronised to s secure form of time. However, many network administrators don’t see the need to use a GPS time server and continue to put their network at risk by using an online source of time for synchronisation. Here are five reasons why a GPS time server is crucial for computer network synchronisation. As British summer time officially ended last weekend, with the clocks going back to bring the UK back to GMT (Greenwich Mean Time), the debate about the annual clock changing has started again. The Coalition Government has proposed plans to change the way Britain keeps time by shifting the clocks forward another hour, and in effect reverting to Central European Time (ECT)..
ECT, would mean that Britain would remain an hour ahead of GMT in the winter and two hours ahead in the summer, providing lighter evenings but darker mornings, especially for those north of the border. However, any proposed plans have stiff opposition from the Scottish Government who suggest that by altering the clocks, many areas in Scotland wouldn’t see daylight during winter until about 10am, meaning many children would have to go to school in the dark. Other opponents, include traditionalists, argue that GMT has been the basis for British time for over a century, and that any change would be simply … unBritish. However, a change to ECT would make things easier for businesses that trade with Europe, keeping British workers on a similar timescale to their European neighbours. Whatever the outcome of the proposed changes to GMT, little will change when it comes to technology and computer networks as they already keep the same timescale all over the globe: UTC (Coordinated Universal Time). UTC is a global timescale kept true by an array of atomic clocks and is used by all sorts of technologies such as computer networks, CCTV cameras, bank telling machines, air traffic control systems and stock exchanges. Based on GMT, UTC remains the same the world over, enabling global communication and the transfer of data across time zones without error. The reason for UTC is obvious when you consider the amount of trade that goes on across borders. With industries such as the stock exchange, where stocks and shares fluctuate in price continuously, split second accuracy is essential for global traders. The same is true for computer networks, as computers use time as the only reference as to when an event has taken place. Without adequate synchronisation, a computer network may lose data and international transactions would become impossible. Most technologies keep synchronised to UTC by using NTP time servers (Network Time Protocol), which continually check system clocks across whole networks to ensure that they all are synced to UTC. NTP time servers receive atomic clock signals, either by GPS (Global Positioning Systems) or by radio signal broadcast by national physics laboratories such as NIST in the United States or NPL in the UK. These signals provide millisecond accuracy for technologies, so no matter what time zone a computer network is, and no matter where it is in the world, it can have the same time as every other computer network across the globe that it has to communicate with.